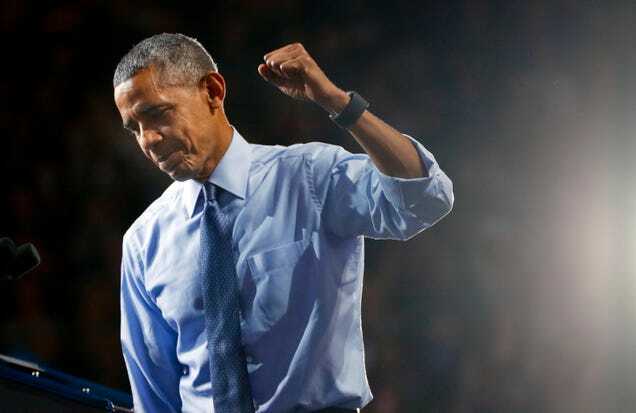 The hottest scientific journal article of 2016 wasn’t on black holes or dinosaur-killing asteroids: it was on the Affordable Care Act, and it was penned by sitting President Barack Obama. Imagine that ever happening again. Scholarly analytics tracker Altimetric recently released its annual “top 100" list detailing the most widely-discussed scientific articles of 2016. In past years, the charts have been topped by a major scientific study on a topical subject, from radioactive contamination in freshwater fish following the Fukushima nuclear disaster (2013) to emotional contagion through social networks (2014) to the first new class of antibiotics discovered in thirty years (2015). This year, the paper that arrested our attention the most wasn’t a traditional scientific study. It was “United States and Health Care Reform: Progress to Date and Next Steps,” an article written by President Obama and published in the highly-regarded Journal of the American Medical Association (JAMA). The paper, which assesses the effectiveness of the ACA and delves into Obama’s health policy recommendations for the next president, was not peer-reviewed in the traditional sense, but it was fact-checked rigorously for several months. Its publication marked the first time in history that a sitting President wrote an article in a scientific journal, a fact which generated quite a bit of buzz in the popular press. In a sense, it’s no suprise that the POTUS’ paper has become the most-discussed of 2016. Still, the performance metrics are impressive enough to turn any aspiring JAMA author green with envy: the article was featured in 315 news stories and nearly 9,000 tweets, compared with an average of 229 news stories and about 1,000 tweets for the top 100 overall. Altimetric’s “attention score” for the article—8,063—is 64 percent greater than the next-most-discussed story. Obama’s stardom, and the controversial nature of the ACA, probably propelled his paper to academic fame, but he also read the crowd correctly. A new Pew analysis of the top 100 scientific articles reveals that health issues were hot on Americans’ minds this year. An article on medical error as a leading cause of death in the United States grabbed the second-place spot, while articles on the sugar industry and Zika virus also made the top ten. Overall, 59 of the 100 most widely-discussed articles in 2016 dealt with a health-related topic. Major pieces of space and astronomy news also caught the public’s attention this year. 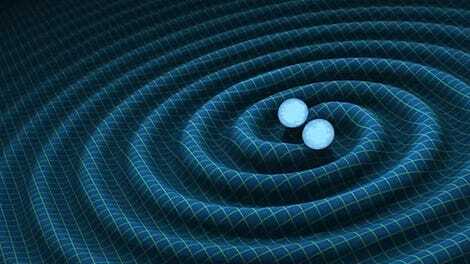 The third most-discussed article, “Observation of Gravitational Waves From a Binary Black Hole Merger,” details the very first detection of the spacetime ripples predicted by Einstein’s theory of general relativity. “Evidence for a Distant Giant Planet in the Solar System,” an article by two Caltech astronomers that lays out a compelling case for an elusive Planet 9, made fourth place. Finally, a few studies on evolutionary biology generated buzz in 2016, including one on how we might have been totally wrong about why the dinosaurs went extinct, and another on the famous early human ancestor “Lucy,” who probably died by falling from a tree. Clearly, 2016 will be remembered for a smattering of exciting discoveries. But at the end of the day, the biggest science story of all may turn out to be one president’s respect for the scientific institution. Will You Lose Your Health Insurance Under President Trump?